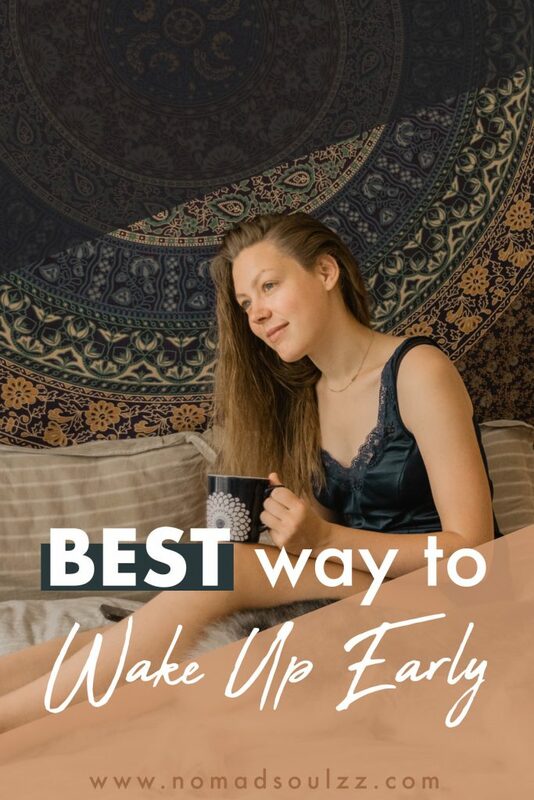 If you’re looking for the best way to wake up early, look no further! We are huge advocates of morning rituals and soothing self-care dawns. 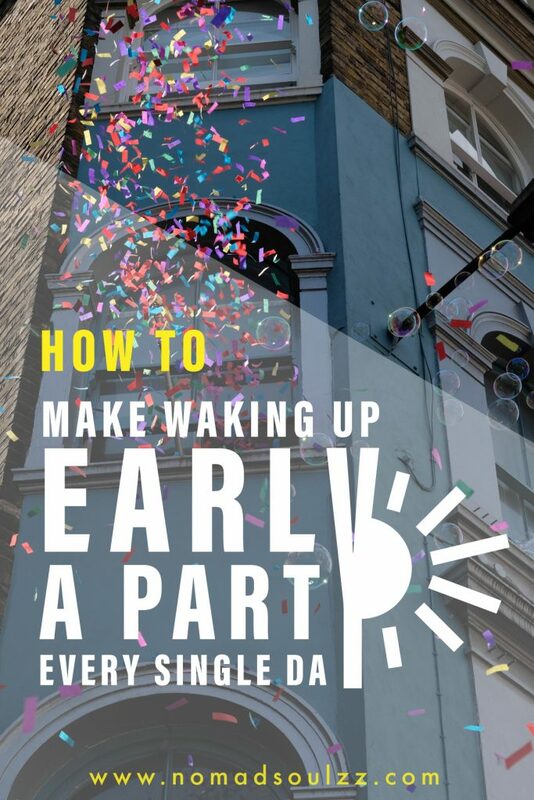 We love to wake up early, but it has not always been… easy… So we thought it would be fun ánd useful to share with you what works and what doesn’t. Well, at least for us. If for whatever reason you landed on this page and you’re like, HECK, WHO DA F* WAKES UP AT 5? FOR FUN? We’ve got positively surprising news for you! Did you know that besides the awesome fact that you have more time (who doesn’t want more time?) there are a couple more great benefits to waking up at dawn? We won’t give it all away, but amongst the benefits are increased productivity, better sleep ánd the ability to make better decisions. 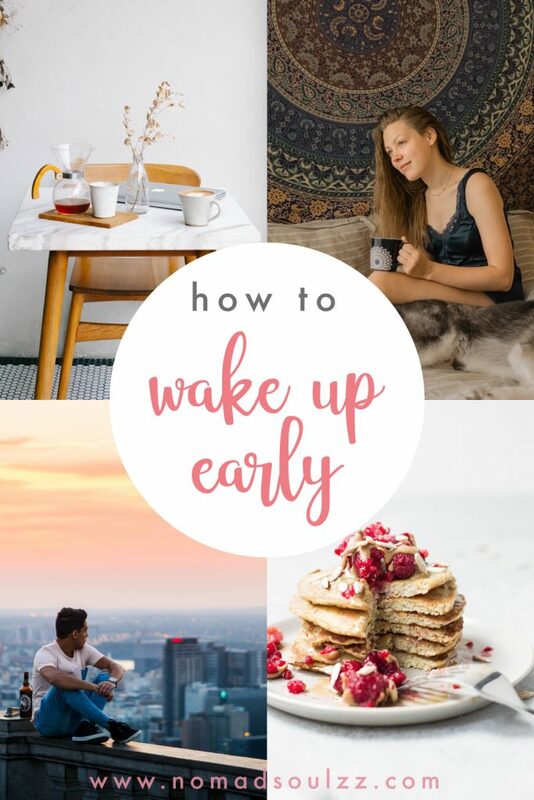 To read more badass benefits of waking up early check out the post we recently wrote about it on the blog! Best way to wake up early. Our tips & tricks! Personally, we find this one of the most difficult to keep up with. 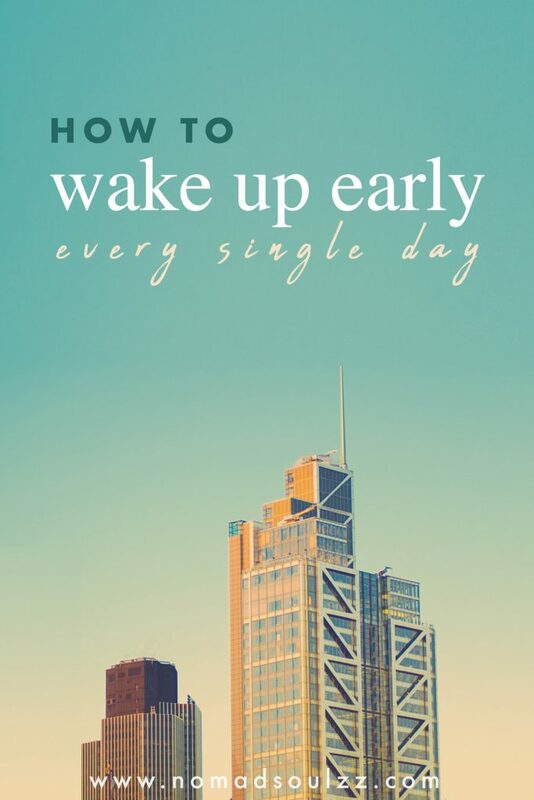 But at the same time, it’s one of the most effective steps into waking up early. Creating a routine and a rhythm for the body and mind performs more miracles than a unicorn on steroids. Why? By consistently going to bed ánd falling asleep around the same time you program your body towards your daily needs whilst it also gets the rest and restoration it needs. Furthermore, by creating regularity at night, you also create regularity in the morning. Makes sense. Balancing it out and designing a harmonious sleeping pattern is the ultimate goal. Tip: Create an evening ritual. When you have a ritual you are excited about (cause it feels so good) it makes going to bed at a specific time a whole lot easier. Try out different things till you have the ritual that’s just perfect for you. Fill it will relaxing and calm vibes. Some proven to work idea’s: switch off all electronics, drink chamomile tea, dim the lights, read a chapter, do a body scan and/or gratitude meditation etc. Trick: Set a bedtime alarm. Others also liked: An easy recharging self-care Sunday routine checklist. If you decide you want to wake up early, you have to know why you are doing it in the first place. This has to be crystal clear for you. What is your irresistible reason to wake up? The more personal, the better. You can even think of a reward that you give yourself when waking up at your desired time. The stronger your motivation is, the sooner you’ll establish a boost of positive energy that will help you wake up early, every morning. Tip: Write down your intention for waking up early. As a result, it becomes a purpose that can manifest itself in your daily routine. By placing your written intention in a spot that will remind you often and sincere about your why’s will help you create the habits you want. An example of a spot where you can place your reminder is next to your alarm. Encourage yourself to smile every time you see your own note, even if it feels a little forced at 5 am. The endorphins will start buzzing around and give you that little extra boost. Having you start your day on a positive note. If this is not the best way to wake up, what is? 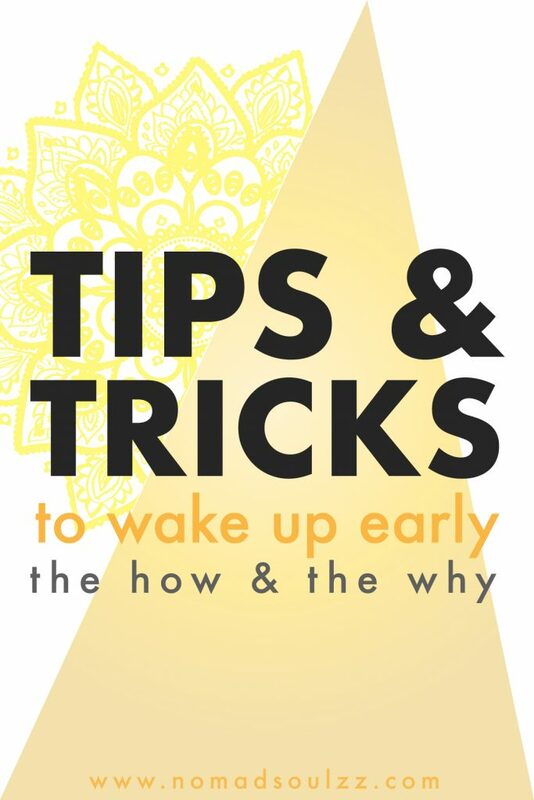 Trick: Prepare your mornings the night before. Having to make less subconscious decisions in the mornings makes room for more clarity and less stress. Prepare your night/morning gown, your clothes, breakfast etc. It will not only save time, it will boost your mood too. 3 Decide what your ideal waking time is. Set a goal. If you want to wake up earlier, for good, you need to be clear in want you want. Also, it’s recommended to not go cold turkey and out of the blue set that alarm to two hours earlier than you’re used to. Unless you want to wake up to a figuratively cold shower and be grumpy, be my guest. Set a goal for your ideal waking time. Don’t let that be determined by others, you choose. Now, slowly adjust your wake up time bit by bit, day by day until you reach your goal. How you do this is up to you. You can either wake up a minute earlier every day (will be roughly half an hour after the completion of a month!) or you choose bigger steps every other couple of days or so (5/10/15 minutes per step). The shock won’t be as intense and more importantly, your body’s natural clock will start to naturally adjust. 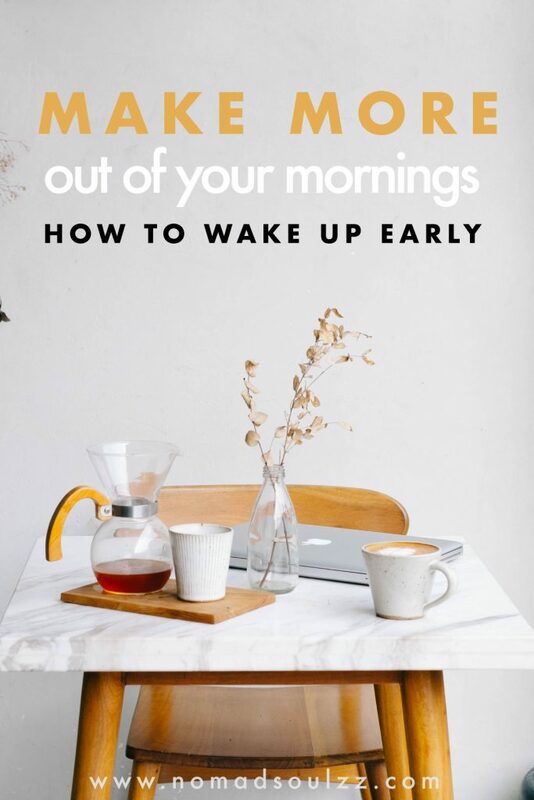 Trick: Invest in a wake-up light. This has been one of our major game changers when it comes to mornings, it’s really the best way to wake up. The light mimics the sunrise. Over the course of 30 minutes, the light intensity gradually increases. Your body picks up the light signals whilst you stay asleep, and adjusts accordingly. Truly an alarm clock that makes you get up. The light signals the body to go into lighter sleep cycles. When 30 minutes have passed an alarm sound goes off, waking you up very gently. No shock feeling (like when you get disrupted from a deep sleep cycle) and as you’re already adjusted to the light, no big shock there either. We have this model by Philips, and even though it’s a bit pricey we wouldn’t exchange it for any other alarm clock. It also has a sunset mode, which we integrate into our nightly ritual. Oh, and very convenient, it’s an alarm clock (duh!) there’s no excuse to have your mobile phone in the bedroom! Yay! Disclosure: The link above is an affiliate link, meaning, at no additional cost to you, we will earn a commission if you click through and make a purchase. We only recommend products we know are absolutely awesome (in their own special way) and worth the investment! As an Amazon Associate, I earn from qualifying purchases. Related: How to always make a thoughtful decision. You knew this already, but we’ll say it louder for the people in the back. By snoozing, you’re interfering with your body’s natural waking process. 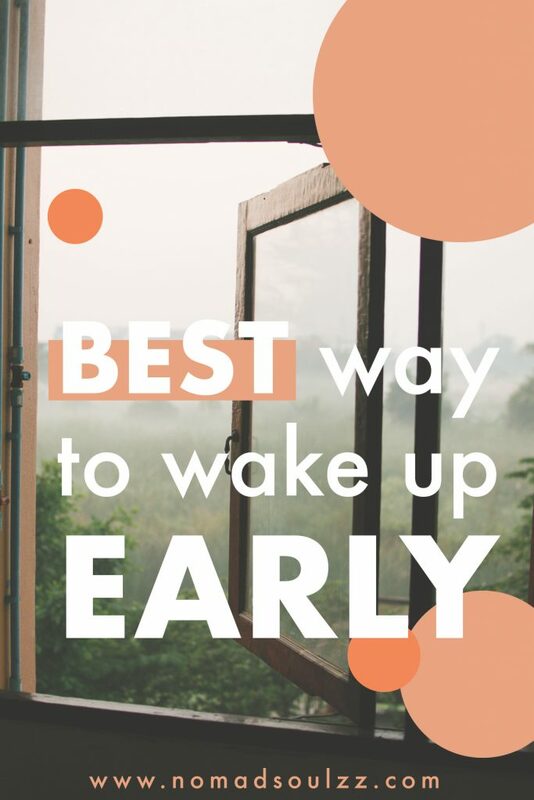 Unless you want to be more exhausted and foggy during the day, it’s sincerely recommended to not hit the that – oh-so-inviting- snooze button. Tip: Put your alarm on walking distance. A famous one and for good reason, because it works! Once you’re out of bed, you’re out of bed. Switch off the alarm and get going with your morning ritual. Resist the urge to snuggle up under the blankets, rather snuggle with your dog or other pet if you have one. Their energy will spark yours like no other. 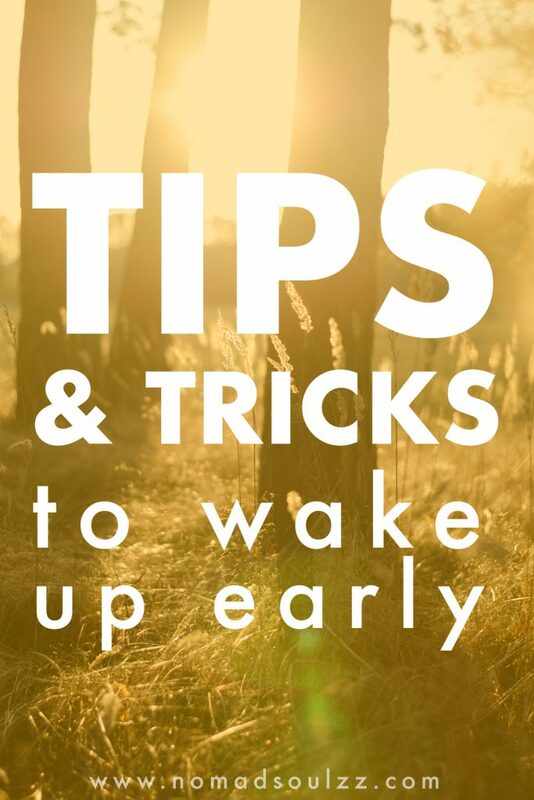 Trick: Set an alarm sound that will set you up for a positive start of the day. And don’t be afraid to be creative. 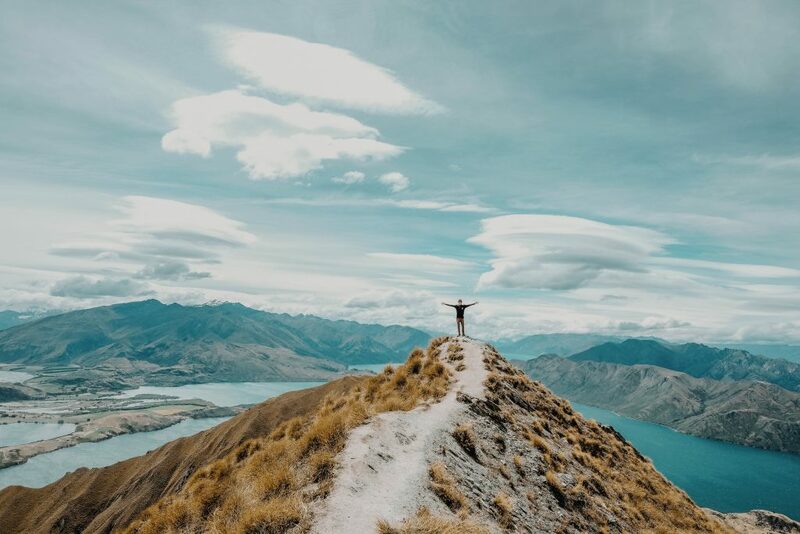 Set a voice memo of yourself singing to yourself like the Teletubbies song, set nature sounds with peaceful Tibetan singing bowls (our choice!) or anything else that will make you smile first thing in the morning! Others also liked: 10 life decisions you won’t regret you made in 10 years! All the successful and happy peeps out there have a morning routine. So there’s surely something to it. But we knew that already, didn’t we? 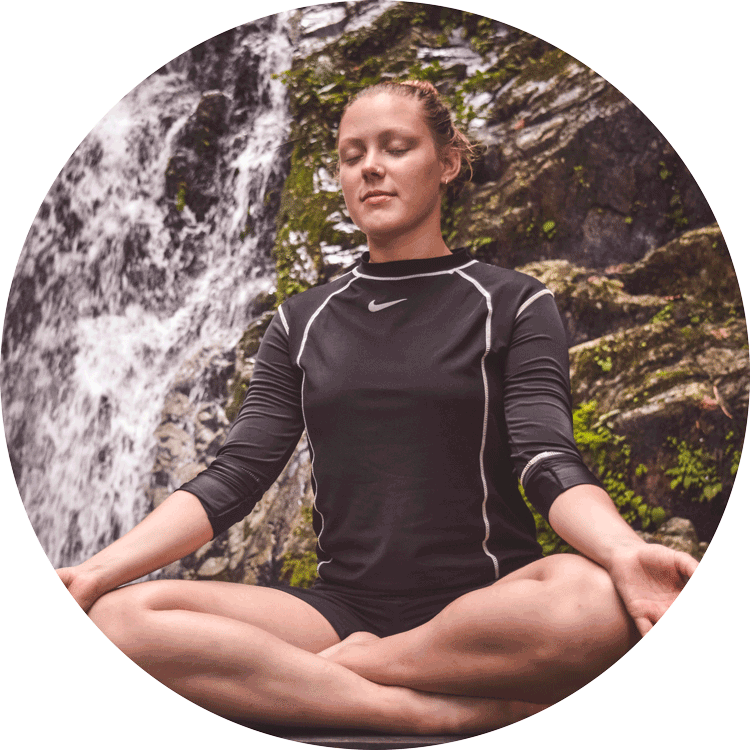 Not only is having a morning ritual a great way to start the day with intention. It also clears the way of any distractions because you’ll be focused on your daily grind rather than externals’ latest. It’s a great idea to write down your (ideal) morning routine until it becomes something so common it becomes your second nature. We recommend saturating your mornings with meaningful and healthy activities. 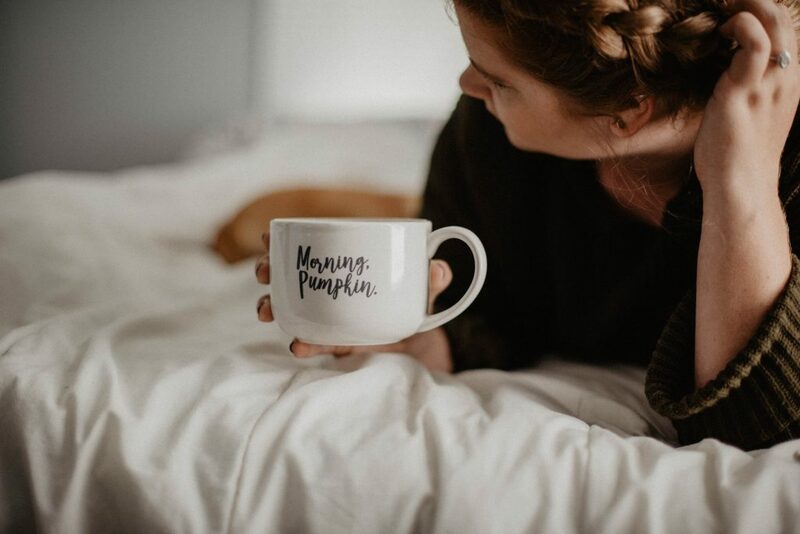 The more fun and pleasure you experience as a result of your morning ritual, the more likely you’ll be motivated to get up in the mornings as well. Drink water, exercise, meditate, study, be creative, journal, have a cold shower, but most importantly, find something that works for you! Tip: Troubleshoot your current morning routine. 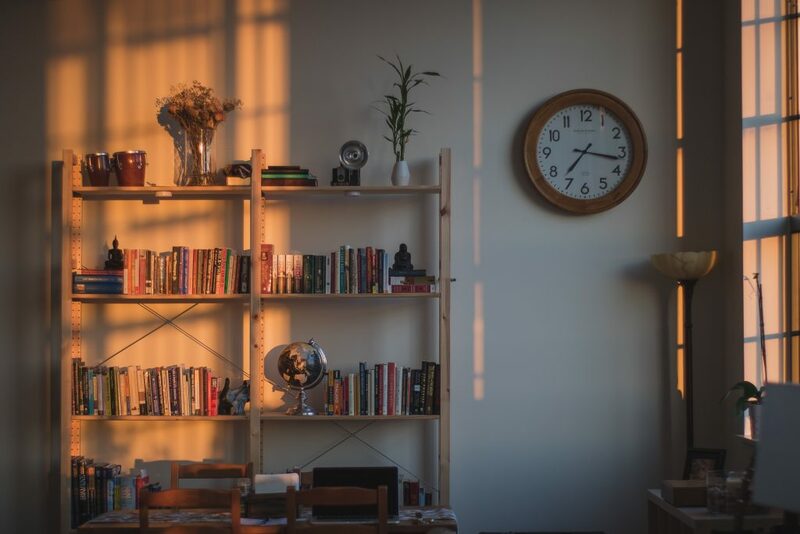 We all already have morning routines whether we’re conscious or unconscious about them. 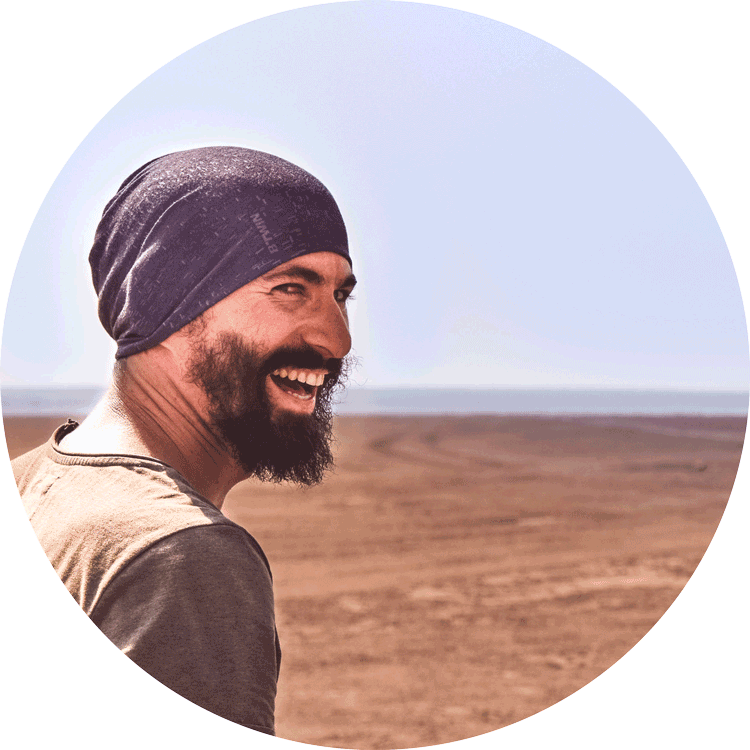 If you want to wake up earlier for a long while now but are still having problems transforming it into a re-occurring habit, why not have a look at what’s holding you back in your current routine. The more mindful the approach, the more feedback you’ll get to what works and what doesn’t. 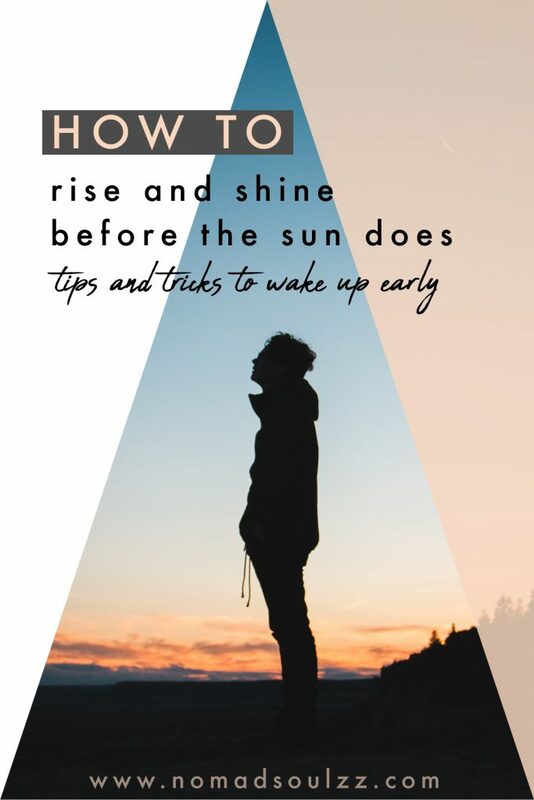 Trick 1: Think and act that you’re a morning person and you’ll be one in no time. To act, talk and live like you’re not a morning person is limiting belief. 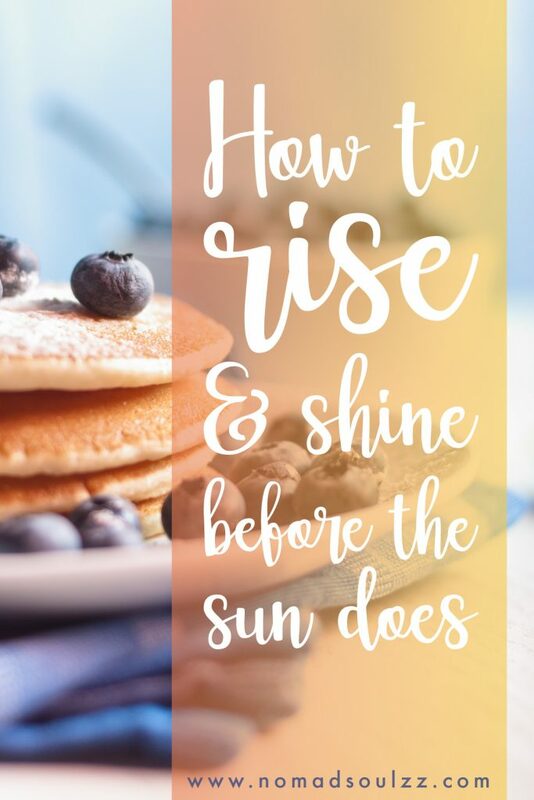 In other words, becoming a morning person with that belief is a much harder task than when you believe and affirm that you were born to wake up before the sun does. Act, live and talk like an early riser and you’ll be one before you know it. Trick 2: Make early appointments. Peer pressure is another great way to get up earlier. If you know someone else will be expecting you, you’re much likely to get up instead of rolling over. This will help 50 dirt-cheap/free self-care activities. Do you have another tip we forgot to add? Let us know! Oh, and we would love it if you can save this article to your Pinterest! Super helpful tips. I am definitely not a morning person so I’ll have to try some of these. Hey Allison, I’m so happy to hear the tips were helpful! With a pinch of perseverance and a cup of motivation, you’ll be up and running before you know it! You’ve got this!